Alissa is a non-Indigenous Australian. 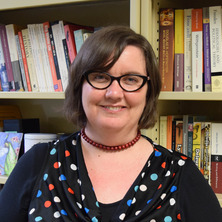 Her research in Australian Indigenous politics explores political and philosophical frameworks driving public debates, and in particular connections between articulations of Indigenous policy and expressions of Australian national identity. She has particularly explored these dynamics in relation to the Commonwealth Government’s 2007 Northern Territory Emergency Response, or Intervention. Alissa is interested in the politics of policy, particularly logics animating Australian policy and governance processes that legitimise settler colonial institutions and practices. Her research provides insights into assumptions framing Australian political debates and institutions while examining important dynamics in public policy and governance. Alissa’s work reflects a concern with the ways political communities in Australia and elsewhere are defined and regulated through the problematisation of particular activities and groups. She is interested in the affective connections between subjects, social structures and political institutions, and the ways these connections are affirmed and resisted through contestations over policy and practices. This animating concern unites a wide range of interests. Alissa’s research to date reflects her interest in Indigenous politics and policy, critical race and whiteness studies, settler colonial politics and questions of sovereignty. She is also interested in Australian politics and national identity, gender and sexuality politics, and in Queensland politics. Macoun, Alissa (2016). Colonising white innocence: complicity and critical encounters. In Sarah Maddison, Tom Clark and Ravi de Costa (Ed. ), The limits of settler colonial reconciliation: non-indigenous people and the responsibility to engage (pp. 85-102) Singapore, Singapore: Springer. Fletcher, M. D. and Macoun, AIissa (2002) Corruption in the truth teller and last drinks. Social Alternatives, 21 3: 15-19. Macoun, Alissa (2010). Aboriginality and the Northern Territory intervention. In: Selvaraj Velayutham, Norbert Ebert and Sheila Watkins, TASA 2010 Conference Proceedings: Social Causes, Private Lives. The Annual Conference of The Australian Sociological Association, Sydney, Australia, (1-14). 6-9 December 2010. Alissa Macoun (2012). Aboriginality and the Northern Territory intervention PhD Thesis, School of Political Science & Internat'l Studies, The University of Queensland.